Here’s a quick update on my residential refrigerator test and what it takes to boondock on solar power without a 3-way fridge. No, I haven’t forgotten you. It’s just that talking manufacturers out of gear to test and then designing a valid experiment takes time. But I’m happy to report that I’m on track to begin gathering data in mid-January. Now, while many of you couldn’t care less about what’s under the hood, there’s a small segment of readers here who are groupies/geeks and want to know how it all works. And I welcome them for peer review. You see, I don’t do anything in a vacuum. Every hypothesis I postulate, every experiment I devise, all empirical data I collect, and every conclusion I reach is subject to peer review by some of the most intelligent people I know. That is, I have a number of really smart colleagues around the planet that review my work and tell me if I’m doing valid science or not. And these guys are specialists in their own fields of nuclear power, marine power, utility power, pro-sound and lighting power, as well as others that are just plain smart about everything. And our own RVtravel.com staff includes a “persnickety” (her term) copy editor who makes sure everything I write is grammatically correct and makes sense. So you can be sure that before I release any data to the public it’s been vetted for content and clarity by a lot of different people. That doesn’t mean we (or, more specifically, I) can’t make a mistake, so your job is to keep us (me) honest. If something doesn’t seem right or a conclusion doesn’t seem to fit the data, then by all means, speak out. That’s the same rule I have in my university classroom. If you see something, say something – politely, of course. And then we’ll dig in and find out what went wrong. Sometimes it’s as simple as the arithmetic, and other times it’s a silly premise that just happens to match the data set. But just know that I’m here for you, and doing everything I can to educate everyone from the RV manufacturers to the customers on how this electricity stuff works. So let me show you what I’ve collected for the fridge experiment. It’s going to be really cool. (Get it…?) Read more. I’ve been promising to create a series of video podcasts where I interview RV industry leaders about their products, and already have 5 or 6 guests lined up to do a 10- to 20-minute phone interview with me. It’s a simple formula: I ask the questions, they answer what I ask, and we all learn something. First up is the marketing director for XL Technologies, LLC, the company that’s doing the Plug-In Hybrid conversion of the Ford F-150 pickup trucks. I completed the phone interview with him last week, and just have to clean up a few edits and it will be ready to run by the next RV Electricity Newsletter. And it will also run as a feature article in RVtravel.com in a week or two, so stay tuned for the release date. For you audio geeks out there, I’m using a vintage Shure SM7 microphone for my own voice as well as a BlueKeeper Bluetooth interface from JK Audio for the caller’s phone connection. I simply HATE bad audio on YouTube videos, so I’m going over the top to make sure it sounds good. And, of course, I’m asking questions that will give us all added insight into the various technologies that make our lives better. Seriously, I really don’t want to be camping out of a pop-up tent with a Coleman gas stove. Been there, done that. 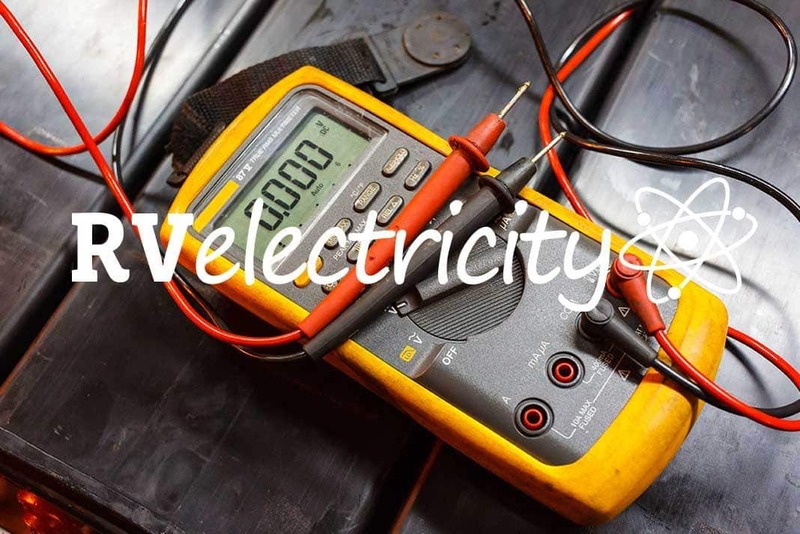 • The last issue of the RV Electricity Newsletter? Read it here. • Yesterday’s RV Travel Newsletter? Read it here. • The most recent issue of RV Daily Tips? Read it here. • The most recent issue of the New RVer Newsletter? Read it here. (December 26, 2018) — The Pennsylvania RV and Camping Association (PRVCA) has announced an RV electricity technician training seminar to be held Jan. 31 from 8 a.m. to 5 p.m. at Keller Marine and RV in Port Trevorton, Pa. The all-day session will be taught by RVtravel.com’s Mike Sokol, the nation’s leading authority on RV electricity. 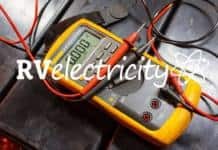 Instruction will cover the basics of electricity, how AC and DC power are used in RVs, the causes of hot-skin/stray-voltage and how to test for it, RV battery technologies, electrical system maintenance and other topics. Only 30 seats are available. The course is free of charge to PRVCA members and lunch is included. Technicians are asked to bring their own meter and writing utensil. Those interested in registering for the course should apply here. Any other companies or groups interested in having Sokol provide instruction at their conventions, rallies or other events can reach him at mike(at)RVtravel.com. How do you provide shore power for your RV when it’s sitting in your home driveway or backyard? Well, it appears that around 95% of you are interested in an RV preparedness newsletter, which is obviously a very positive response. I’ve received a number of emails from our readers who have lost their homes to the recent fires and are living in their RVs, loaned out their RVs to families in need who had lost their homes to a fire, and even those who were letting a family with an RV camp on their front lawn by running an extension cord out to them for power. In all cases these are great examples of RVers coming together to help others in their time of need. Once the RV Travel newsletter is completely upgraded, and the RV Electricity newsletter gets its own facelift, Chuck and I will begin the process of creating an RV preparedness newsletter of some sort. Hopefully we can begin by the time the 2019 camping season is in full swing. We’ll keep you posted. I have a number of friends and acquaintances (and a sister) who like to go off the beaten path while camping, sometimes hiking for days in the wilderness out of reach of every cell phone tower or other technical residuum of civilization. While that can certainly be a wonderful experience, it’s not so great if you get lost or hurt and emergency rescue personnel put themselves in harm’s way to find you after your loved ones don’t hear from you at the preordained time and call in the cavalry. While gadgets like satellite phones have been the gold standard way to maintain communication in the wild, they’re just too expensive and bulky for hiking in the mountains, when you really don’t want to talk to other human beings anyway. Enter SPOT-X, a compact text-only satellite “messenger” that will not only allow you to send text messages to your family on their own cell phones, it can also send GPS coordinates at any desired intervals, or after you stop a hike. So you can send a text to your significant other every hour or after every hiking break you take, and everyone will know you’re all right. But if you do run into trouble, such as tumbling down a hill or getting trapped in a flooded river, SPOT will let you send a text to them or 911 with your own information on what you need, along with GPS coordinates of where you need it. Now, at $249 this isn’t exactly chump change, and in addition it will cost you a monthly connection fee of around $15, depending on how many messages you want to send. But considering the peace of mind this can give your family and friends who stay behind I think it’s cheap insurance. I’m going to ask SPOT for a review sample before I hike the Appalachian Trail the next time (NOT), or wherever my next adventure takes me. So expect a full review of it later if they come through with a loaner unit to try out. Find out more at SPOT, LLC. Or learn more or order at Amazon.com. • Don’t blow your fuse! • Is it a leak or a noisy water heater element? I spend a lot of time answering questions from RVtravel.com and other forums/newsletters. Here are two of them that I recently received. You promised to publish Part 2 of your article on the ABCs of RV Grounding soon, but I haven’t seen it. Did I miss it or is it still in the works? A: Patience, grasshopper… Good things come to those who wait… Tempus fugit… and all that jazz. I’ve been a bit overloaded keeping up with all the other RV Travel articles and such. Plus I have two new electrical diagnostic seminars I’m presenting in January. But not to worry, as I’m publishing Part 2 of my ABCs of RV Grounding article in the RV Travel newsletter due out next week. And then I’ll republish it here in my own January RV Electricity newsletter#15. In the meantime, here is Part 1, which you’ll want to read (or re-read) first. Q: I want to install a 30-amp box hookup on a stand in my RV concrete slab in my back yard. I hear of several methods, but some don’t sound so safe. What is the proper and safe way? I know it has to be totally separate with its own breaker and the wire needs to be at least 6-12 inches underground, and that wire is expensive. I’d like it to be in a PVC pipe so if there is digging at least the pipe will be visible. Yes, I realize I need an electrician, but not all electricians deal with RVs. Would like your input. We should all remember the story of Stone Soup, where a weary and hungry traveler comes into town looking for a meal. But none of the townspeople have enough food to share, and he’s turned down everywhere he goes. However, once he tells everyone that he has a recipe for a wonderful stone soup and just needs a few garnishes to make it great, all of a sudden everyone works together to create a fantastic meal for the entire town. It’s a lesson in sharing and caring for your fellow man (and woman). I was reminded of this parable after reading many of the stories coming out of Chico, CA, due to the evacuation from the fires in Paradise, CA. Read more. This newsletter is copyright 2018-2019 by RVtravel.com. Next articleIs a traditional or convection oven best in an RV? Perhaps a comparison of the SPOT and Garmin inReach Mini is in order…both are small text messaging devices requiring subscriptions, but work on different satellite systems. The “I don’t bother” response on the survey seems to cover three alternatives; maybe sometime you’ll break them out. 1. I don’t bother, and let the battery just over-winter on its own. 2. I don’t bother putting shore power in the RV because I pull the battery and put it on a tender. 3. I don’t bother because I have a solar installation capable of maintaining the batteries. We will be in category 3 when / if we stop full-timing. On another note, consider the Garmin InReach as an alternative to the Spot. Thanks for your continued efforts on the behalf of the RV community. Have a 13′ Scotty which uses no electricity when not in use. No hidden usages. So….what should I do to preserve my battery? Ok to leave it where it is ? Have to disconnect and bring in? Thank you for your advice. If you don’t have an easy way to provide 120-volts AC to the Scotty when it’s in storage, then the best thing to do is remove the battery at the end of the season, and put it in your garage with a battery tender. A tender is a very low-amperage charger that monitors battery condition so it can’t overcharge the cells. Don’s use a conventional battery charger for this since it will tend to boil out the electrolyte. And if you do have 120-volts AC at your storage location, you should still use a battery tender or intelligent 3-stage charger. I installed a 30 amp outlet on the outside wall of the garage. I ended up with a free 30 amp breaker when I converted my dryer and range to gas. It is close enough I can use the RV power cord to plug in. We supplemented a power cord at an exterior outlet with solar panels on the 5th-wheel when it was parked at our house previously. Unfortunately, we can’t keep it at our current house for more than a day to load or unload it. I don’t bother to power my RV when it’s in my driveway because I make it a point to actually drive it at least twice a week. Just curious if it’s a GFCI protected outlet. I go along with Ed I don’t use an extension cord I plug into an outside outlet and yes it is GFO.